I am a highly qualified and experienced Clinical Hypnotherapist, Supervisor and Course Lecturer, practising in and around East Devon, with practices in Axminster, Chard, Ottery St Mary and Sidmouth. I also co-founded the Association for Solution Focused Hypnotherapy (AfSFH), which aims to increase public awareness of Solution Focused Hypnotherapy. I use Solution Focused therapy techniques, which means we don’t analyse the past or what’s wrong. Instead we focus on how you want things to be. It’s a very powerful, uplifting experience, and over the years I have helped many hundreds of clients achieve a better enjoyment of life. Hypnotherapy can help with a wide range of issues, including: Anxiety, Stress, Lack of Motivation, Problems Sleeping, Confidence, Weight Management, Phobias and much more. I have always been fascinated by the power of the sub-conscious and my experience as a hypnotherapist has demonstrated the significant changes we can make to the quality of our lives, simply by changing the way we think about things. Hypnotherapy is more than just hypnosis. It is underpinned by psychotherapy techniques designed to help you change unwanted habits of thought. Anxiety, Stress, Lack of Motivation, Problems Sleeping, Confidence, Weight Management, Phobias and much more. Many people believe that hypnotherapy is something that is "done" to them, that they explain their issue to the therapist who then simply hypnotizes their problem away, as if by magic. Solution Focused Hypnotherapy is a much more collaborative process and it's important to understand that change happens because you want it to and because you are prepared to take the necessary steps to allow it to happen. Born in Plymouth, my career has taken me away from the West Country for most of my adult life. I moved back to Devon in 2003 to be closer to friends and family and settled close to the lovely town of Ottery St Mary. Moving back enabled me to focus on all the things I’d always wanted to do but never had enough time – like finding out more about how the mind works by training to become a clinical hypnotherapist. I qualified from the prestigious Clifton Practice Hypnotherapy Training school (CPHT) in Bristol in 2008 and subsequently became a Supervisor, helping other Hypnotherapists hone their therapeutic skills. I have a thriving Hypnotherapy practice and a lively Supervision group. In recent years I have established a satellite CPHT school in Guildford, and took over the running of CPHT Manchester, where I lecture one weekend a month with a close colleague, training students to become Solution Focused Hypnotherapists. I trained at the prestigious Clifton Practice in Bristol and was awarded a Diploma in Hypnotherapy and Psychotherapy (DHP) in 2008. Shortly afterwards, I was awarded the Hypnotherapy Practitioner Diploma (HPD) by the National Council for Hypnotherapy. The HPD is considered to be the ‘gold standard’ in hypnotherapy training, and has been recognised by the Open University to be the equivalent of 45 points at Undergraduate Level 1 (FHEQ Level 4). Later In 2009 I gained a diploma in SFBT (Solution Focused Brief Therapy) Training for Hypnotherapists. In 2012 my membership status of the National Council for Hypnotherapy was upgraded to Accredited in recognition of the scale of my practice and commitment to ongoing professional development. In 2013 I SFBT I became a Hypnotherapy Supervisor after completing the Supervision for Hypnotherapy Diploma (a level 5 qualification). I enjoy keeping my skills up-to-date by attending regular CPD courses and Supervision sessions. In 2015 I became a lecturer for CPHT and set up a school in Guildford with a close colleague and in 2018 I took over the running of the CPHT school in Manchester with another close colleague. 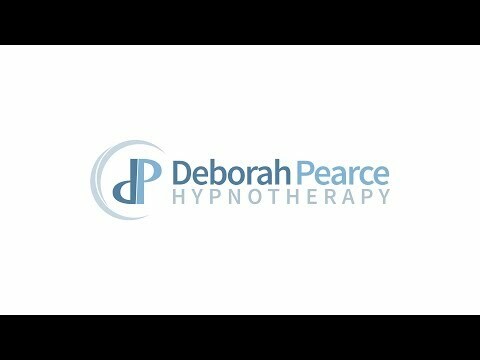 We travel to Guildford and Manchester once a month delivering the 10 month HPD course, training students to become Solution Focused Hypnotherapists. In 2017 I gained the Advanced Hypnotherapy Diploma (AHD), a qualification that has been accredited by the NCFE and benchmarked at level 5. It is at an equivalent level to a Foundation Degree. I have helped many hundreds of clients over the years, with a wide range of issues. The beauty of Solution Focused Hypnotherapy is that, because we do not deal with analysing the problem itself, I can work with all clients to help them achieve their preferred future. The initial consultation is free of charge and is designed to assess what you want to achieve, how hypnotherapy can help you and how many sessions you are likely to need. I'll give you a free self-hypnosis CD to set the wheels in motion. I'll help you to imagine your preferred future, a future where you have a more helpful perspective on the quality of your life. I'll then guide you into a relaxed state of hypnosis so that we can consolidate what we have discussed. Through learning self-hypnosis techniques, hypnotherapy can be beneficial during childbirth. The techniques are reinforced with the aid of a free childbirth CD which accompanies a course of hypnotherapy sessions. Self-hypnosis for Childbirth courses can be run for individual mums-to-be, couples or small groups. I run monthly Group supervision sessions in my therapy room in Sidmouth. See my website for details. I can be contacted 9am to 9pm Monday to Friday. If I am with a client, please leave a message or ping me an email. Many thanks.